Many times while using Windows 10, you or any of your friends can run into any problem. In this situation, you always need someone’s assistance who can guide you to resolve your issues. Most of us think that in order to get someone’s assistance for resolving our problems; we need that person to be present physically with us so that he can have a direct access to our computer system. This cannot always be possible. Therefore, there must be a way through which we can remotely resolve the issues without the need of being there physically. Fortunately, Windows 10 provides us a way through which we can remotely troubleshoot Windows 10 PC. In this article, we will explain to you a method through which you can remotely troubleshoot Windows 10 PC without using any third party software. If you want to be the assistant, i.e. 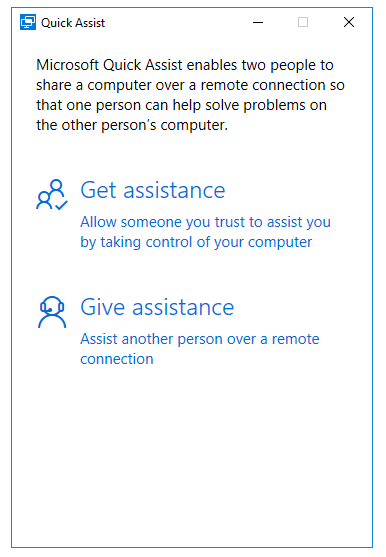 you want to provide help to someone then click on the option of Give Assistance from the image shown above. Enter your email id and then click on the Next button. 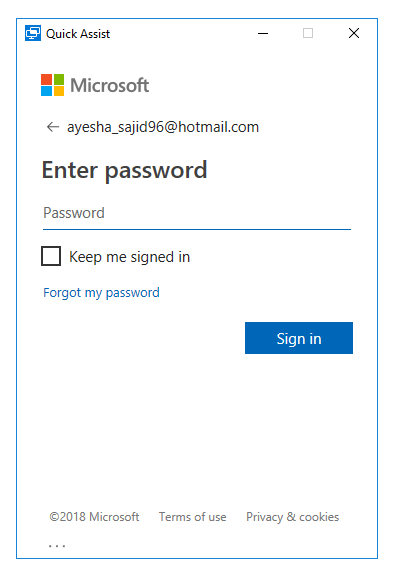 After entering your password, click on the Sign in button. Now you will need to convey this security code to the person to whom you want to provide the assistance. You can either message or call that person in order to convey this code within its timeout. The person on the other end will also have to launch the Quick Assist utility on his computer system in the very same manner. Once he manages to launch it, he will have to click on the Get Assistance option. 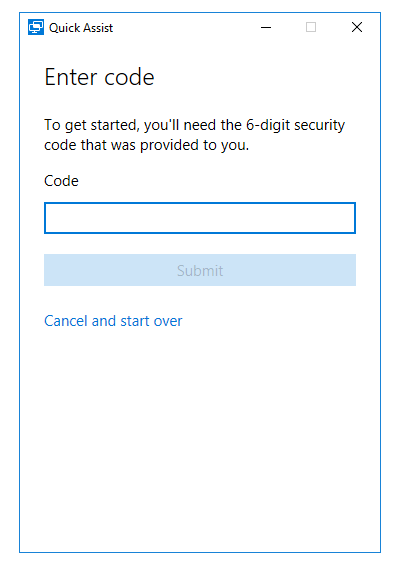 After entering the security code, that person will need to click on the submit button. 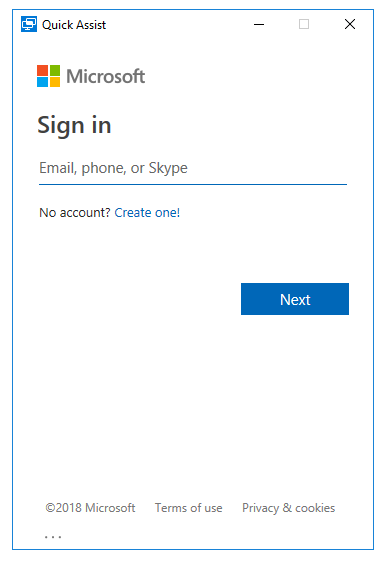 As soon as he will click on the submit button, Windows 10 will ask him to allow you to access his computer system. If he agrees to do that, a connection will be established between both the computer systems. Once a successful connection is established, you will get the access to that person’s desktop. From there you can easily take the appropriate measures in order to resolve the other person’s issue. In this article, we studied how we can use the Quick Assist utility provided by Windows 10 in order to troubleshoot Windows 10 PC remotely. The most useful thing about this utility is that it is very safe and secure. 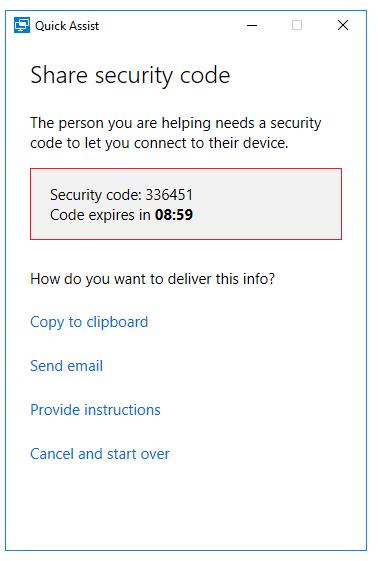 The six-digit security code generated by this utility expires after every 10 minutes and will have to be regenerated in order to access a PC. Moreover, the person providing the assistance must also have a valid Microsoft Account without which he will not be able to troubleshoot any PC remotely. These features provide a very high level of security and no unauthorized user can break into your computer system this way. The Quick Assist utility indeed provides a very helpful and easy way to troubleshoot any Windows 10 PC remotely.